CatHaven answers the question, how do I provide outdoor adventure to an indoor cat? see url How do you solve the dilemma of having an indoor cat, but giving him/her access to outdoor adventure? We understand purr-fectly – we have the answer! go CatHaven’s green leafy foliage sets it apart, creating wonderful play and privacy areas that your cat will love. 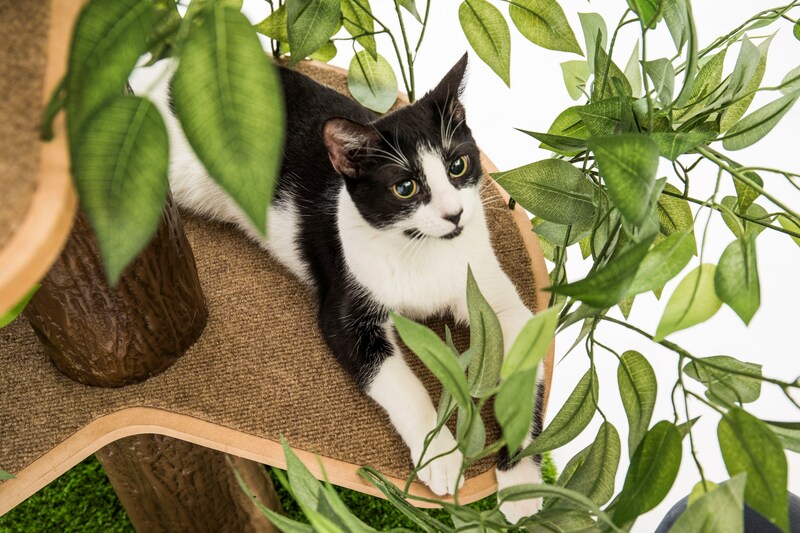 here This amazing cat tree is handcrafted with soft, silky realistic looking leaves, a sturdy, scratchable turf base and three perfectly spaced durable, comfortable carpeted perches attached to a realistic looking trunk. Learn more about CatHavens here! We offer four styles to meet every human’s space requirements and every cat’s needs. Next Next post: Enter our Cattastic CatHaven Cat Contest!